I used the event as an opportunity to try out "Rent the Runway," a New York city based company that stocks hundreds of high-end designer dresses that it rents for a mere fraction of the retail cost of the garments. I was skeptical when I first heard about it - the idea of renting a dress did NOT appeal to me. I've always had a "why rent when you can buy mentality." If a man is going to wear a tuxedo more than once a year, he should absolutely invest in a classic style tailored to fit him. He'll be money ahead after a few wearings, and it will have a more debonair, James Bond air than an off the rack rental. That said, my position softened a bit when I spied the Temperley London "Aya" dress while checking out the Rent the Runway website. I first laid eyes on this heavily embroidered, sheer beauty while shopping in Chicago last Fall. I love the brand's design aesthetic, and the "Aya" collection is one of my favorites. Unfortunately, the straight from the Fall 2013 runway look also cost over two thousand dollars. I don't know about you, but I can't afford two thousand dollars for a dress, let alone one that I'd likely wear only once or twice. And even a 50% after-season clearance sale wasn't going to bring it into the realm of possibility for me. I'd even scoured the internet to see if I could find it at an affordable price on eBay or through a consignment shop. No such luck, though Google did inform me that I wasn't alone in my appreciation of the Aya collection. It was sold out everywhere (there actually are people who pay that much), and it's been worn on the Red Carpet and featured in more than one popular television show. Vanessa Hudgens wore the Aya dress on the red carpet for a Make a Wish Foundation event; Hayden Pannettiere wore the blouse version in Season 2, Episode 13 of television show "Nashville." 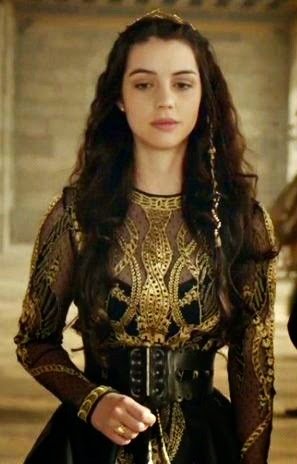 In the nineteenth episode of television series "Reign," a CW period drama about Mary, Queen of Scots that will start its second season this Fall, Mary (Adelaide Kane) wears the full-length, white/gold version of the Aya dress; In the sixteenth episode, she wears the black/gold version. Renting a dress that I hadn't tried on and would arrive just two days before the event could have been a disaster, but since I knew there were back-up options in my closet, I took a chance. What a great experience! The dress arrived a day ahead of the promised delivery date. It was carefully packaged, clean, and wrinkle free. The company actually sends two different sizes, which adds insurance against the frustrating lack of sizing consistency in women's clothing. The return process was also a breeze - I simply tucked the dresses into a pre-addressed package and popped them in a UPS drop-box on my way to work the following Monday. The website also has an excellent client review database, which includes photos of actual customers wearing the garments. This is tremendously helpful in evaluating whether a particular style is likely to be flattering on "real world women." Let's face it, not many of us actually look like runway models, so seeing somebody of similar height and body type is invaluable when you can't try something on in advance. Given the theme of the evening, I amped up the drama with a fascinator from Chicago milliner Loreta Corsetti (purchased on a day trip with the Fashion Arts Society last year). Between it and the elaborate detail on the dress, I kept accessories to a minimum. 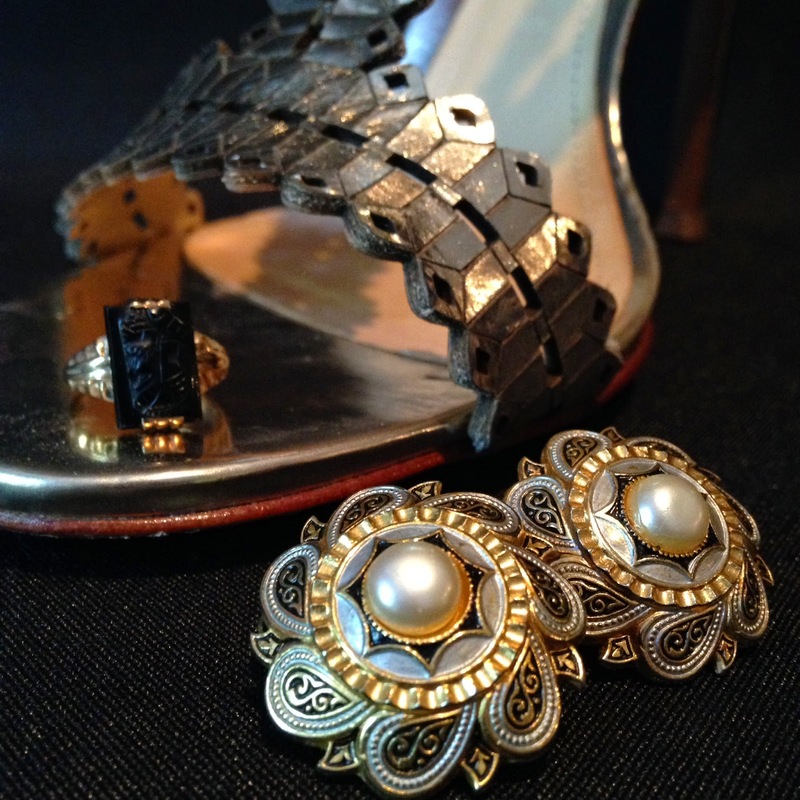 Both my earrings and the black onyx ring are cherished heirlooms from my Grandma Dorothy. They were made in Spain, and the conquistador carved into the face of the onyx resembles the likeness of Don Quixote. This seemed particularly fitting for the affair, which was held in the magnificent 1930s home of internationally acclaimed interior designer Jamie Gibbs and Cuban chef Paco Argiz - the house is dubbed "Dulcinea," the name of Don Quixote's imagined true love, in honor of Paco's favorite author, Miguel de Cervantes. 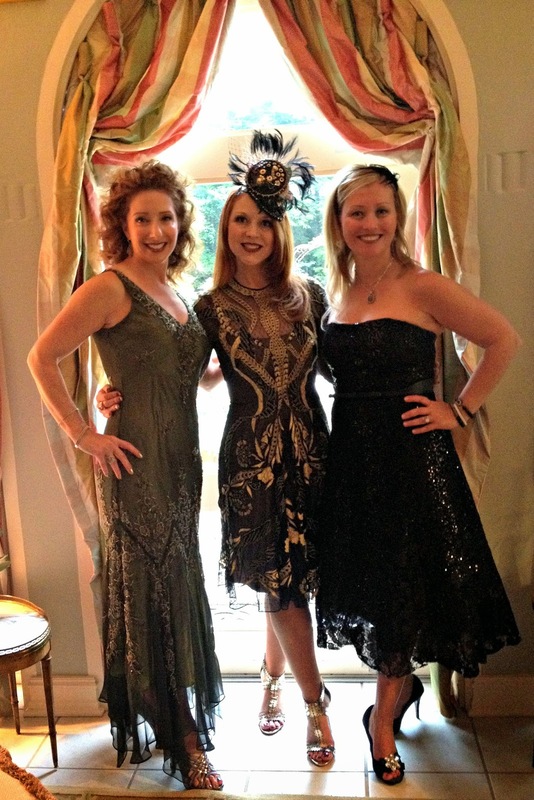 Like Auntie Mame, I dressed for both the occasion and the setting! Linked up with: Hat Attack! Stunning! Every piece. 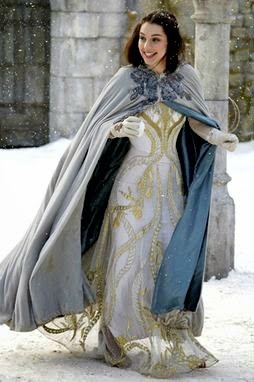 Great idea to rent a dress that has this much panache for a special event, and top it off with your glamorous chapeau. 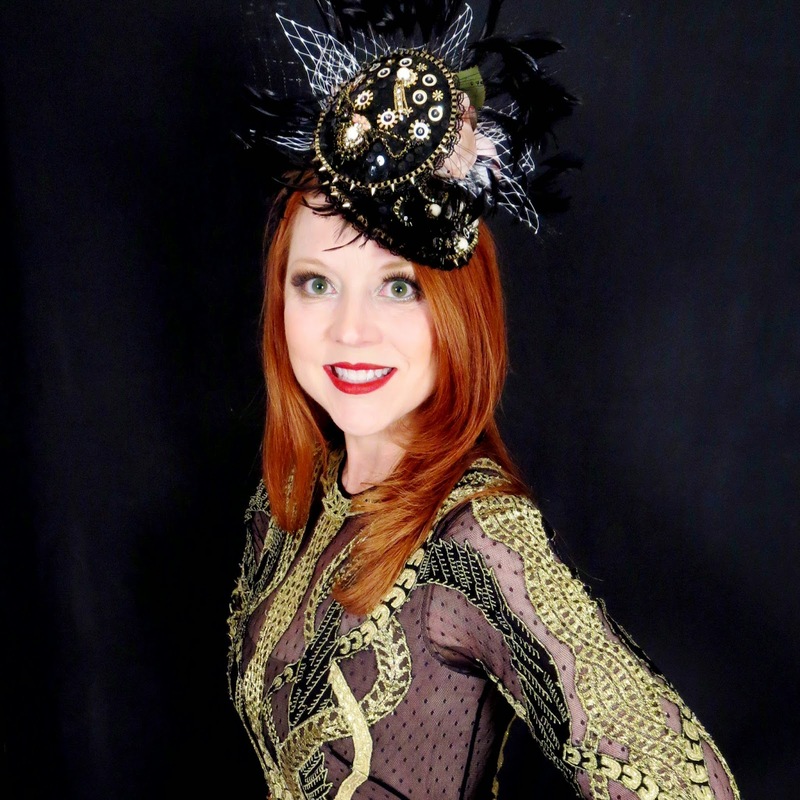 I bookmarked the milliner after checking out her site. Thank you for sharing your beauty with Hat Attack!